I am a bagel zombie. Seriously. I’m a New York girl and I grew up enjoying the carby awesomeness of bagels. Give it a schmear of cream cheese and happiness could be found in each bite. As I got older…my love for bagels continued…but I started to watch the waistline. Bagel thins came out. And I fell in love with the thin, crispy goodness that these offered. All the taste of bagels without all the bread. Nice. I sampled so many gluten-free bagels at first, having given up even finding something close to a bagel. Most of the ones I tried were shaped like donuts, not bagels. Small, bready, and just all wrong texture-wise. 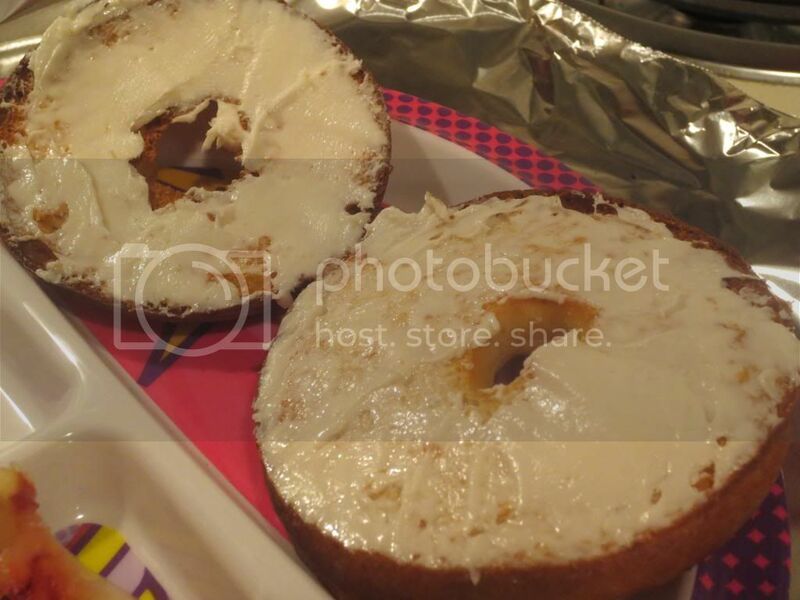 And then…Udi’s came out with bagels that rocked my world. Seriously…amazing. 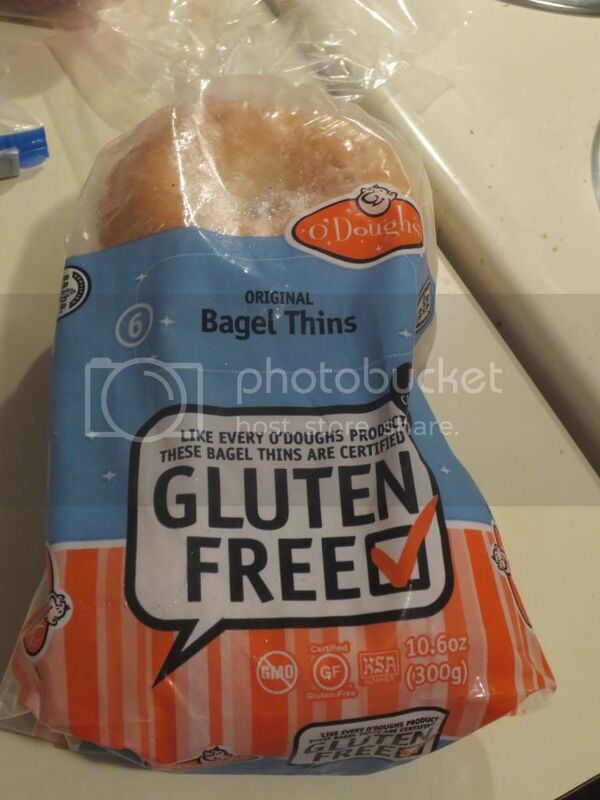 And then…while out grocery shopping one day at our local Earth Fare, I spotted O’Doughs Gluten-Free Bagel Thins. I did a double-take. I backed up, snatched them from the cooler, and tossed them into my shopping cart. No questions asked…these were coming home with me. I was so thrilled with this discovery without even having tried them yet. I had a great company for bagels…now maybe it was time to let the bagel thins shine. I hadn’t had anything from O’Doughs yet. So, this was going to be the first product I sampled from this company. I stored these in my freezer for over week while I was out of town, but then…then it was time to have these for breakfast…because I came back into town with little groceries in my fridge and freezer and was trying to make do with what I did have on hand. That morning, I turned on my oven and put two bagel thins on the pan and let them toast up gently in the oven. You could totally do this in a toaster, but I got rid of mine when I was diagnosed with Celiac, wanting to eliminate any potential for cross-contamination. Now that my roommate eats only gluten-free bread too (for my sake!) I could totally get a new toaster now. I just have nowhere in my kitchen for one at the moment. Anyway, these bagel thins toasted up beautifully in the oven. 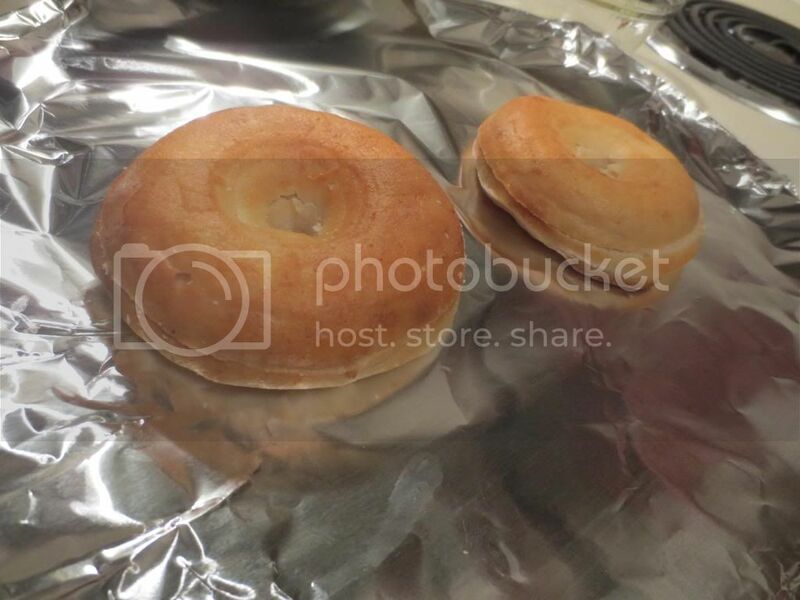 Because these are bagel thins…not bagels…I kept a close eye on them to keep them from burning. After removing the golden toasty bagel thins from the oven, I gave each half a schmear of gluten-free and vegan cream cheese. Served them up with some fruit that morning and VIOLA…breakfast was served. One bite and I knew O’Doughs got these bagel thins right. I was amazed. The Original Flavour variety tastes just like a regular bagel. The outside gets that nice crispness to it, and the thin innards toast to a beautiful golden color and still maintain a bit of that chewy texture you want with a bagel. What this means is that the thin texture provides a base for any topping you want to top it with. Nothing takes away from anything else. The toppings compliment the bagel and vice versa! So, now that you know they are amazing…let’s talk shop. These bagel thins are composed of filtered water, soya flour, tapioca starch, chickpea flour, whole grain rice flour, cellulose fiber, glycerine, yeast, sunflower oil, salt, organic evaporated cane juice, xanthan gum, baking powder, and baking soda. Not too bad as far as ingredients go. Not exactly clean eating…but…better than some other options out there, yes? Yes! Nutritionally speaking, a serving is one bagel thin. And one bagel thin only contains 100 calories and 1.5 grams of fat. Consuming one bagel thin also means you will be taking in 300 mg sodium and 1 gram of sugar. These bagel thins contain no cholesterol, no trans-fat, no eggs, are non-GMO, and are kosher. One bagel thin also gives you 2 grams of fiber and 2 grams of protein. And yeah…they are really amazing. O’Doughs makes three varieties of bagel thins. Original, Sprouted Whole Grain Flax, and Apple Cranberry. I finally have found the Sprouted Whole Grain Flax at my local grocery store…but have yet to find the Apple Cranberry out in the wild. But, if you should spot O’Doughs Gluten-Free Original Flavor Bagel Thins…grab them. Toast them. Top them. And enjoy them. Trust me…you’d never guess it was gluten-free. They taste like the regular thing. Perhaps even better. I am in love.